One of the major differences in Passive House buildings is insulation. Passive House buildings typically use 2 to 3 times the amount of insulation of a conventional building. Using more insulation in the floor, walls, and roof slows down the transfer of energy and prevents the losses that plaque typical buildings. Conventional buildings require large mechanical systems to replenish these losses and therefore use lots of energy to maintain a comfortable interior environment. 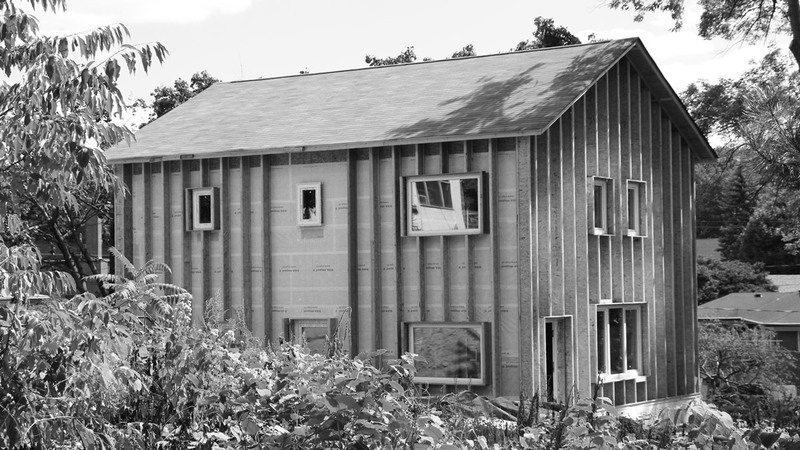 The Scranton Passive House is located in Climate Zone 6 where the building code requires the level of insulation in a new home to be R-21. (R value is a measure of the resistance to heat flow for a material). This equates to filling the 2×6 cavity of a conventional wall with 5 ½” of pink fiberglass insulation. Concrete slab being poured over Pennsylvania Perlite in bags and 12” of EPS insulation. Comparatively, The Scranton Passive house walls are R-60. This high level of insulation is achieved by creating a 12” cavity on the outside of the 2×4 structural frame and filling it with cellulose insulation, an inexpensive insulation material that is made from recycled newspapers. 30” of cellulose is also used in the roof of the Scranton Passive House providing an R value of R-85, which is roughly 3 times greater than typical construction in this region. 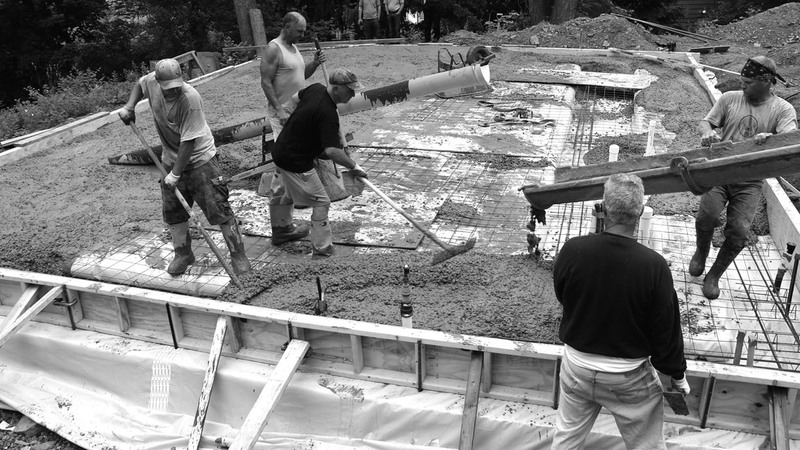 The floor of the Scranton Passive House is a concrete slab poured over 12” of EPS (expanded polystyrene) insulation. 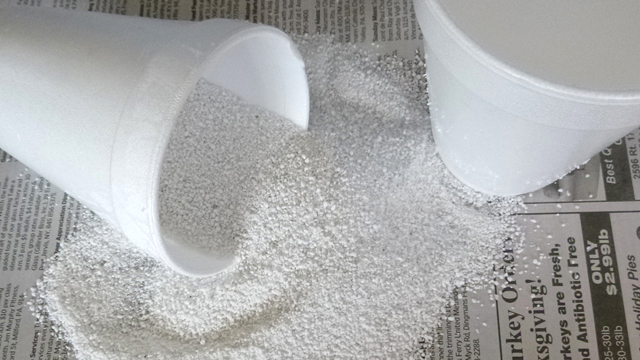 EPS is the same material used to make Styrofoam coffee cups among other things. EPS offers excellent resistance to heat flow and is also inexpensive compared to other rigid insulation products. In typical construction, a concrete slab is poured over 8” crushed gravel. Gravel is not a good insulation material. In the Scranton Passive House we replaced the 8” of crushed gravel with 8” of Pennsylvania Perlite. Perlite is an inert, lightweight, structurally stable material with excellent resistance to heat flow. It is made by heating perlite ore to around 900 degrees which causes the ore to expand like popcorn. It is also an inexpensive material widely used in the construction, horticulture, and industrial applications. The under slab EPS and perlite provide a combined r value of R-76.